When our school was founded in 1991, the name “Parkside Community School” was chosen to highlight the intention of founders Joe and Claire Bruno to create a true community that would become a source of joy and support to school families and friends. In 1996, Parkside Community School founder Joe Bruno traveled to China with a U.S. educational delegation. In the schools they visited, the children gathered each morning to participate in synchronized dance movement. Struck by how this daily ritual gave everyone a strong sense of belonging, Joe was inspired to bring this community building concept to Parkside. 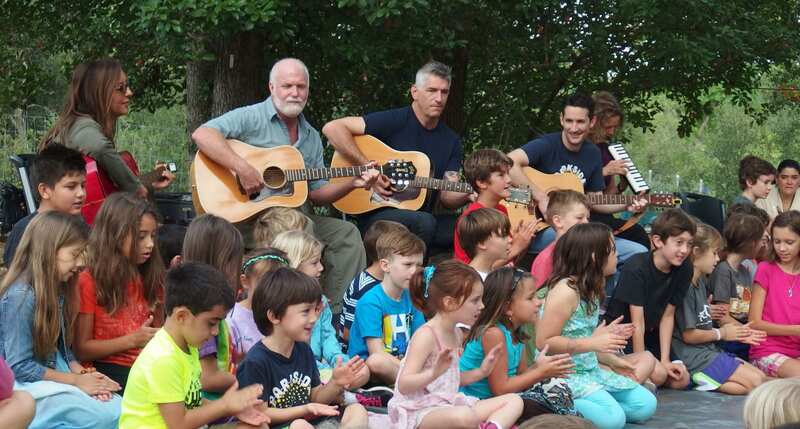 Since then, our weekly Simple Gifts ceremony has offered all of our children and any interested parents the opportunity to participate in group singing and dancing, using the historical Shaker song “Simple Gifts” as our foundation. but a child of five can do it with ease. Over the years, the intention to create loving community has manifested in other ways as well. For example, we gather for weekend camping trips in the fall and spring, as well as for special student performances and school-wide events throughout the year. If you’re new to Parkside, we welcome your family, and can’t wait to have you as part of our family.